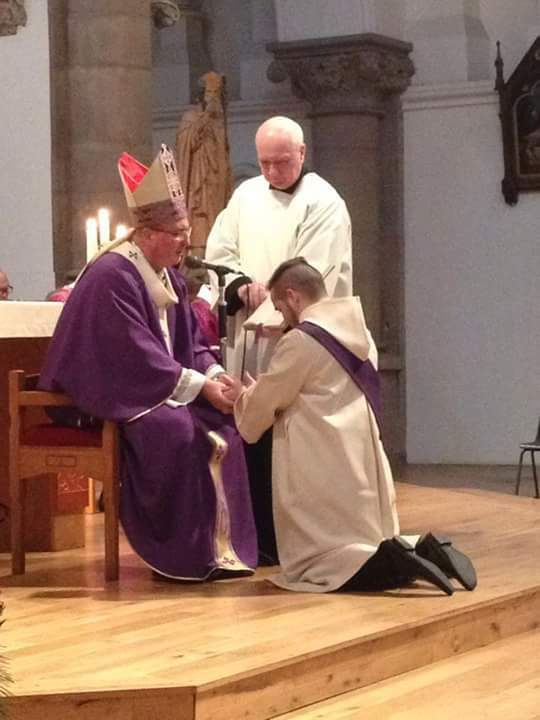 Fr Frank is a former parishioner of St Mungo’s where he had been involved in the Young Adult Group in the parish; he was also a member of the parish Pastoral Council. 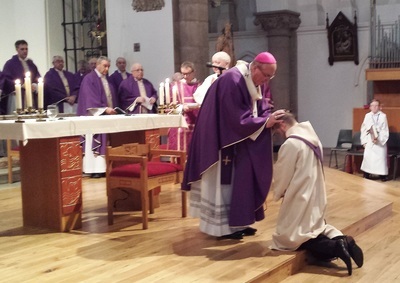 He entered the Passionists in 2007 at St Patrick’s Retreat, Crossgar and made his first profession in 2008. 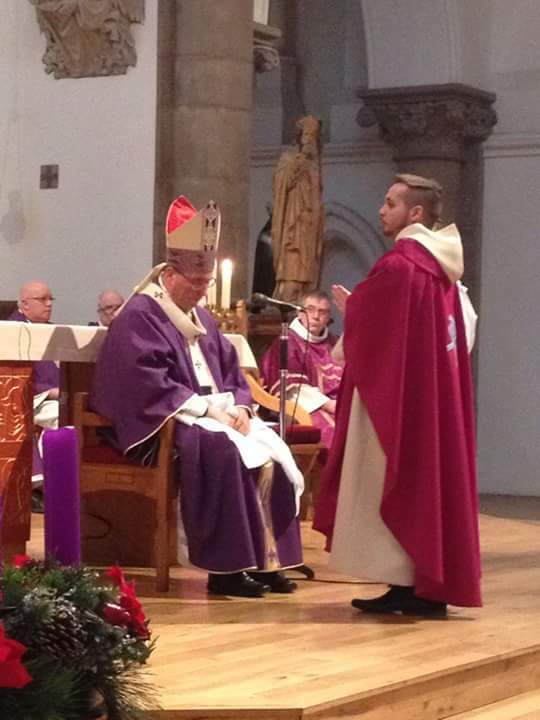 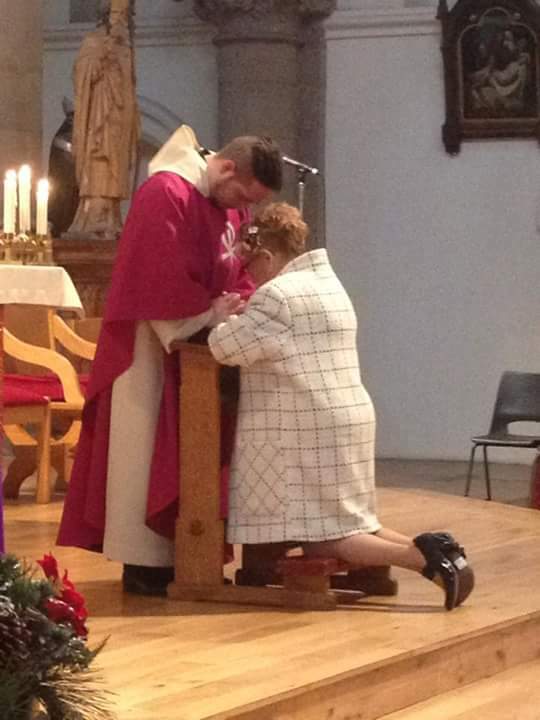 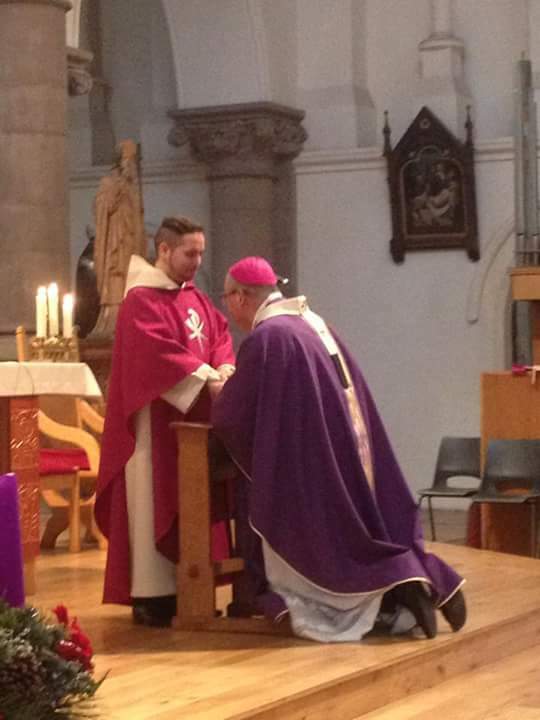 He was ordained to the diaconate at St Paul’s Church, Mount Argus, Dublin, by Archbishop Diarmuid Martin on 13 December 2014 and exactly a year later he celebrated his first Mass at St Andrew’s, Bearsden, where his mother is now a parishioner. 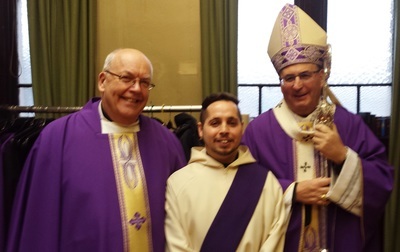 Fr Frank is on a year’s pastoral placement at St Paul’s Retreat, Mount Argus, where he is engaged in a variety of ministries, helping in the parish, in Our Lady’s Hospice at Harold’s Cross and in the service of the Shrine of St Charles of Mount Argus.